Chesterfield will be represented at the leading worldwide property event – MIPIM – this month, with the objective of attracting further investment to the borough. Peter Swallow, Chair of Destination Chesterfield and Managing Director of the company developing the £340 million Chesterfield Waterside development, will be travelling to Cannes in France on 13 March and will be promoting all the benefits that Chesterfield has to offer. 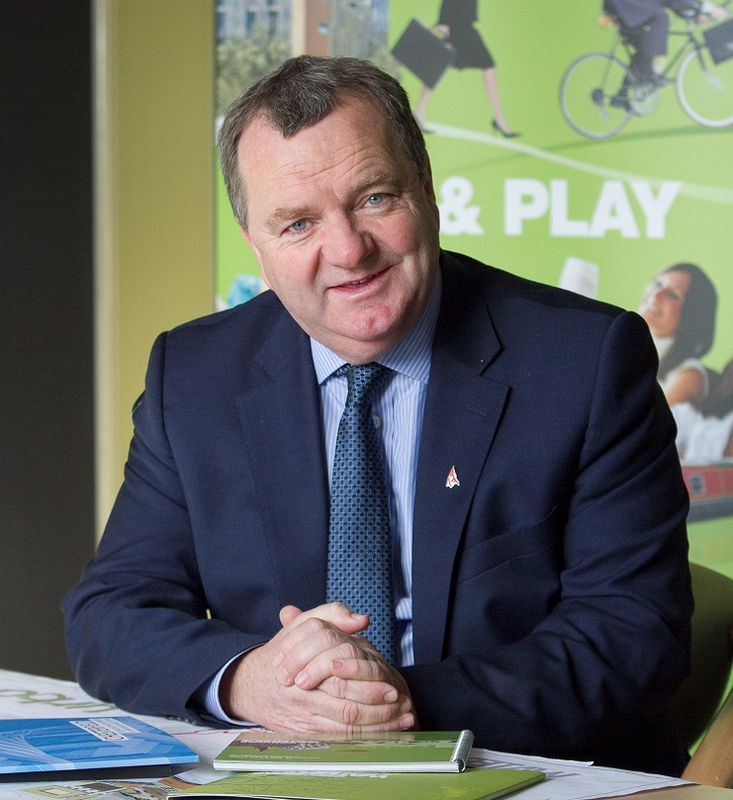 In addition to Peter’s presence, the town will be promoted to the world by delegations from both Sheffield City Region and Derby and Derbyshire. More than 24,000 participants from 100 countries will gather at what has become the international platform for industry leaders to connect and do business. The town’s central location and transport networks have made it a magnet for commercial, leisure, industrial and residential investment in recent years and there is further potential to unlock in the town with the right investment. With the advent of a forthcoming HS2 station, alongside the current nationally significant developments at Chesterfield Waterside, Peak Resort, Northern Gateway and Markham Vale, MIPIM is the opportunity to meet thousands of potential investors from across the globe in the space of just a few days. Alongside Peter, representatives from Chesterfield-based Whittam Cox Architects will be attending the event. Last year the firm was appointed by Chesterfield Borough Council to review and update the current masterplan for the town centre. Already more than £1 billion of developments are planned or taking place in Chesterfield. The town holds one of the UK’s largest regeneration schemes at Chesterfield Waterside, the country’s largest leisure development in Peak Resort and the industrial and logistics hotspot Markham Vale. Peter Swallow explained: “Chesterfield’s involvement in MIPIM is an excellent opportunity to showcase the town to potential investors. We are a town already punching above our weight, made possible by the partnership of public and private sector partnership and investment. We have already secured more than a £1bn of development in the borough, bringing significant investment potential to the area to create a contemporary destination for businesses, residents and visitors. Andrew Dabbs, Board Director at Whittam Cox Architects, added: “Having attended MIPIM for a number of years now, we wholly recognise the value this event has the potential to realise. A great example of this is that our project at Park Hill in Sheffield was initiated at MIPIM. Councillor Tricia Gilby, leader of Chesterfield Borough Council, said: “It is very pleasing to see that several Chesterfield companies are attending this exhibition, which is the leading event in the property industry. “This will continue the success we have seen in recent years in terms of promoting Chesterfield as place to invest in and come and do business. “Chesterfield has a lot to offer investors because of its good transport links and location with easy access to most of the UK population.